The US Men's National Team is certainly stealing the spotlight of this episode after a dramatic point in Mexico. The draw gave Luke and Pedro plenty of talking points, none more than the impressive play of the back line. 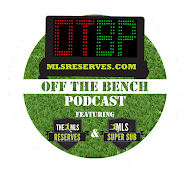 Guest Odeen Domingo joins the show to talk about his efforts as the Phoenix FC beat writer. NASL is just around the corner and what happens if Orlando doesn't make MLS? Remember when Mexico was better than the US? KickTV does.